I read this article and found it very interesting, thought it might be something for you. 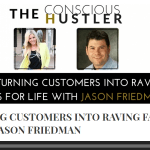 The article is called TURNING CUSTOMERS INTO RAVING FANS FOR LIFE WITH JASON FRIEDMAN and is located at https://www.cxformula.com/turning-customers-into-raving-fans-for-life/. Once upon a time, there were fewer options in everyday life. There was only one drug store, one gas station, one eatery, etc. Now, there are at least 6 options for everything. 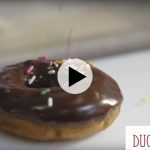 You have to make a conscious choice on which grocery store you’re going to go to. You probably even pass other grocery stores on your way there. And what happens when you go out to eat? How many perfectly acceptable restaurants do you pass on your way? But for some reason.. you just like your favorite one better. And do you want to know what that “some reason” is? Customer experience. You may be thinking, “No, Jenn, I just like the layout of this grocery store best, not the customer service.” But that’s not what I said. 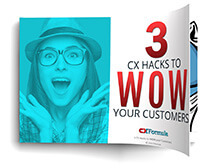 Sure, customer service is a big part of customer experience, but there is so much more to it. Customer experience is the whole package. Down to every. last. detail. If you want to create a lifelong tribe of fans and customers, you need to perfect their entire experience. 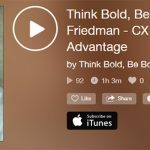 On today’s episode, Jason Friedman shares with us advice on how to create a lasting impression on your customers with your brand. A little secret? 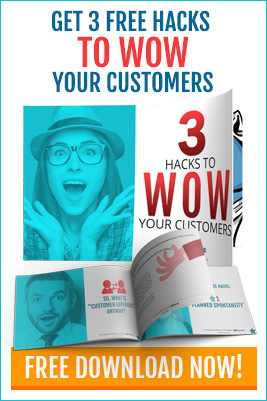 It’s all about being intentional and making your customers feel ah-mazing. You won’t want to miss this episode — so much gold waiting for you! Jason Friedman, founder and CEO of CXFormula™, helps fast-growing, entrepreneurial companies gain an unfair advantage over their competition through the art and science of designing their “customer experience journey” – a step by step process for delighting customers in a way that turns them into raving fans for life. 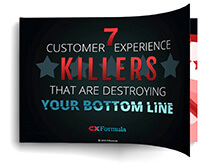 Jason has increased his clients’ same store sales over 400%, raised over $6 Billion USD for endowments and propelled client loyalty, profits, referrals, team commitment and engagement using his proprietary CXFormula™ methodology. He was named Ernst and Young’s Entrepreneur of the year for business services and made the Inc. 5000 list for three consecutive years. 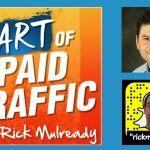 In 2008, Jason sold his first company (Creative Realities) in the high 8-figures. He has started and successfully exited 4 other businesses: medical diagnostics, automotive, spirits and a digital media software platform. Jason’s passion for crafting exceptional customer experiences was born in entertainment, where he worked as a lighting designer/director and roadie for Peter Gabriel, Rush and international Broadway tours of Jesus Christ Superstar, Fiddler on the Roof and La Mancha. As an expert in experiential marketing, live events and brand activation, Jason works with clients via private consulting, small group workshops and online training programs.